We need you to update and translate Bandicam languages. Everyone is welcome to join the Bandicam Translation. All you need is an interest or passion and a computer. 1. Go to the language folder of Bandicam and open "English.ini". 2. 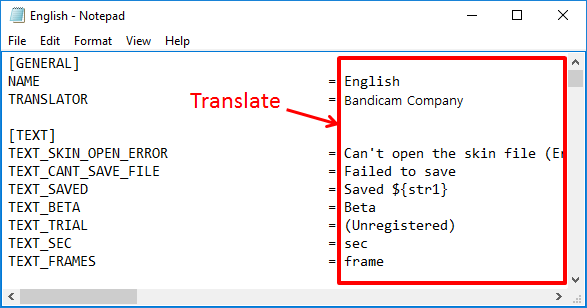 Translate the "English.ini" file in to your language. 3. 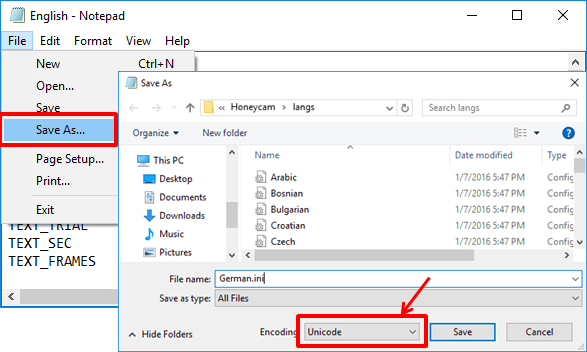 Save your "Language.ini" file and choose the "Unicode" Encoding option. 4. 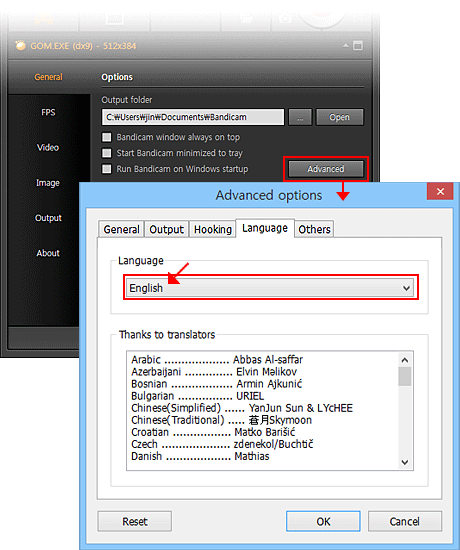 Go to "General -> Advanced -> Language", and and select your language to check your translation. We really appreciate your contribution.